We have a regular attendance of about 120 at these services. You are invited to join us. Every Sunday morning the Band and Songsters (that's the choir) play and sing their music; the band accompany many of the songs or hymns. 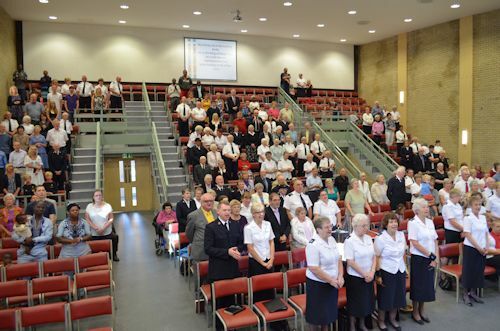 Most people in the congregation wear ordinary clothes although some will be wearing Salvation Army uniform. No one need feel out of place. Sunday Set: Bible learning and fun for all young people ages 3-16. This takes place during our morning worship service 10:30-11:30 a.m.